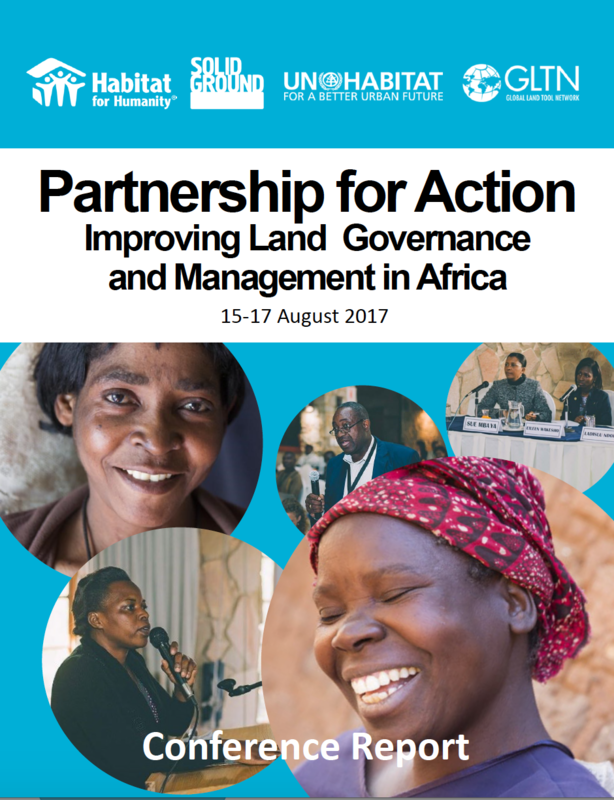 The Partnership for Action: Improving Land Governance and Management in Africa Conference took place in Pretoria, South Africa from 15 - 17 August 2017. The conference was part of Habitat for Humanity’s activities under the Global Land Tool Network (GLTN) Urban CSO Cluster of UN-Habitat and HFHI’s Solid Ground campaign. It was hosted in partnership with Slum/Shack Dwellers International (SDI), Habitat International Coalition (HIC), the Huairou Commission and the Namibia University of Science and Technology NUST). The conference brought together stakeholders from multiple sectors in an effort to promote dialogue and an understanding of key practices and policies in relation to land governance and management in Africa. The speakers represented various sectors, including civil society, professional bodies, government bodies and academia. Presentations and discussions highlighted the bottlenecks in respect of land issues; however there was a strong emphasis on showcasing methodologies and successes in realizing effective governance of land with a focus on Sub-Saharan Africa.